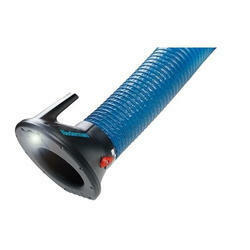 Application: Fumes,Vapours or Non Explosive Dust etc. The dust extractor arm is a device which allows the user to position a suction hood to capture fumes or dust close the generation spot with complete ease and flexibility. Extracton arm is intended for capturing and removal of different types of smoke, vapours of chemical reagents, light dust and other volatile hazardous substances, formed at small stationary workplaces. Extracton arm is being used as a part of exhaust ventilation system. Temperature of transported media should not exceed 70 deg. C.
Ganesh Automation And Engineering Pvt. Ltd.
one extraction arm can serve several work places. The trolley is easily moved along the rail. The trolley fits Nederman extraction arms shown below. Backed by the rich industry experience and knowledge, we are offering an excellent range of Extension Arm. Also, we offer this product in various customize options to meet the exact requirements of the clients. Our company has gained name and fame in presenting Fume Extraction Arm. 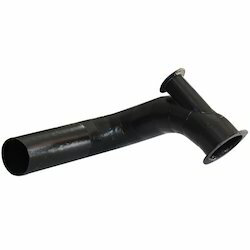 - NAF extraction arms are ideal for optimal extraction performance. These arms are highly flexible and easy to handle. Extraction arms are best solution for the targeted extraction of large section of diameter and sizes. We are looking for Enquiries for Design, Manufacture & Supply of complete range of Modular Lab Furniture. ESPAIR™ Extraction Arms are flexible suction arms capturing the smoke, gas, dust, mist, fumes and other gas emissions from the source and are widely used machinery, food, pharmaceutical, chemical, electronics, automotive and other industries. - The "Flexible Balance Arm" tool holding system is a major ergonomic development for tube installation and removal in providing an easy to use method of absorbing tool torque and counterbalancing the weight of the tool. Specially designed for working environments with fumes, vapours or non explosive dust. The arm has extended corrosion protection since all aluminum details including the arm system are anodized. Typical workplaces are food, pharmaceutical and chemical industries, and any other type of industry where an easily positioned corrosion resistant arm is required. FlexMax® is the perfect extractor for those awkward spots and areas with a low ceiling. It is unmatched in its ability to reach to high positions and locations far from the arm’s mounting position. Very handy when it comes to reaching into and under work pieces, or when you need to mount the arm at a lower height.